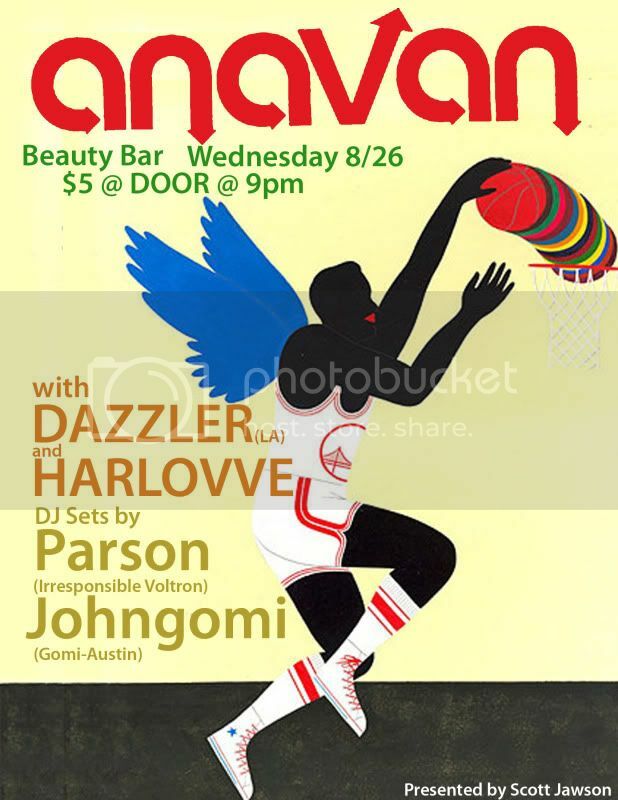 Don't miss this show next Wednesday at Beauty Bar. Coming in from Los Angeles will be the impressive Anavan (think The Rapture but more dancy) along with Dazzler. They will get some support from Harlovve along with DJ sets from Parson (Irresponsible Voltron) and John Gomi. This is from the same man that put together that awesome party with The Golden Filter and Vega a few months ago so you know it's going to be a good time.